HAPPY BIRTHDAY KANG DAESUNG! : Fun Facts You May Have Not Known About D-Lite! 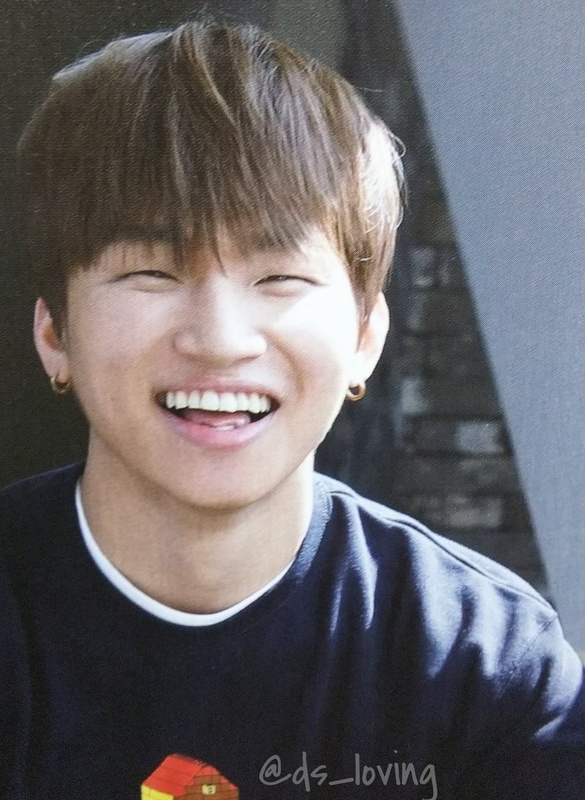 This year, to celebrate Daesung’s birthday, we thought here at BBU that we would give some insights on fun facts and information you may have not previously known about our smiling angel boy! Below are some little bits that we thought interesting and informative…but maybe you didn’t know about. Please join us in celebrating Daesung’s birthday and leave a comment or additional fact below to keep the celebration going! Happy 29th (30th Korean) birthday Daesung! 1. Daesung treats his body like a temple, being very careful what he puts into it. he also has expressed a few times that he isn’t a big bread eater and does not really enjoy fried food. (Watch 7:20-7:55 in the clip below). 2. Daesung’s first solo advertisement/goods promotion was for “Big Hit Chicken” after he sang and performed hit trot song “It’s a Big Hit/대박이야”. You can see one of the CFs for it below. 3. Daesung is actually a devoted Christian and regularly attends weekly services whenever he can. He however, does not talk about it much publicly and does not push others to listen to or follow his belief or allow it to control his career & music. After his 2011 car accident, he went and spent time at his church and with the congregation there and commented that he felt they understood him and prayed to figure out what to do and how to continue. He also spoke with the other Big Bang members and G-Dragon and other visited him while he was staying at the church (he volunteered to help build a new area and fix up the current building). 4. Daesung is known for having many famous friends outside of YG Entertainment. Such as Lee Hyori, Kim JongKook, Yoo JaeSook, Jung Yonghwa, the members of SNSD & KARA, SHINee’s Onew, Taemin & Jonghyun, plus many more! (See below for some photos of him with friends). 5. in 2008, Daesung played the role of Rum Tum Tiger in the Korean adaption of the Broadway music “CATS!”. (See below for the clip of him performing). He later went on to star in other musicals and specials thanks to his talented performance ability. 6. Daesung has an older sister (Kang BoRa) who was previously a full time service member in the military and currently lives in Hawaii with her 2 sons, Daesung’s nephews. He visited them when he was in Honolulu for his Japanese concerts. 7. Daesung always wanted to be a musician (though also thought about being a priest or professional sports player) or do something connected to music. He became interested in it during elementary school, but could not say anything to his parents as they were against that type of job/career (he had a teacher in school that pushed him to go to vocal academy and the vocal teacher pushed him to audition for YG). Daesung’s uncle had worked to be a professional singer and unfortunately not succeeded, so they didn’t want Daesung following this path, worrying he would fail/not be able to survive. Eventually they came around though as they saw his passion, success and listened to his reasoning. 8. 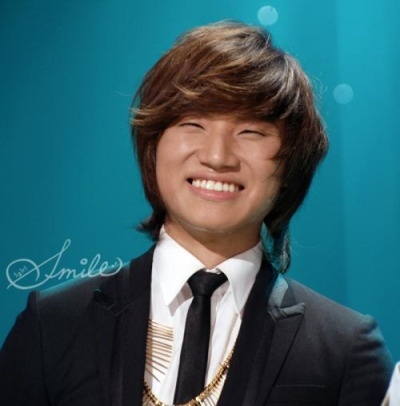 Daesung suffered from throat issues since early in his career, such as vocal cord nodules. This is why a lot of time he will talk about his voice/throat condition when asked about how he is on a particular day or when talking about how he thought a concert went. During his early days singers Gummy and Wheesung helped him to train and learn new techniques so that he could work around the issues and to strengthen the muscles and vocal cords in his throat and upper body. 9. While it is not very noticeable or obvious, Daesung does have slight bow legs. Bow legged is when a person’s legs appear to bow out, meaning their knees stay apart even when their ankles are together. Daesung’s is very minor, but depending on what he is wearing and the angle a camera is at, it can be seen at time. 10. When Daesung gets into a hobby/pass time he gets into it deeply. Originally it was singing as a hobby, then it was Doraemon, then drumming and now, tied with drumming, Daesung is into putting together Legos. Daesung becomes very involved and goes very in depth when he becomes interested in something (and even when he moved on to another hobby/interest, he continues to follow past interests still). We hope you enjoyed these 10 fun facts about Daesung and learned something new today, celebrating his birthday! Note: None of the photos or videos belong to or are owned by BBU. 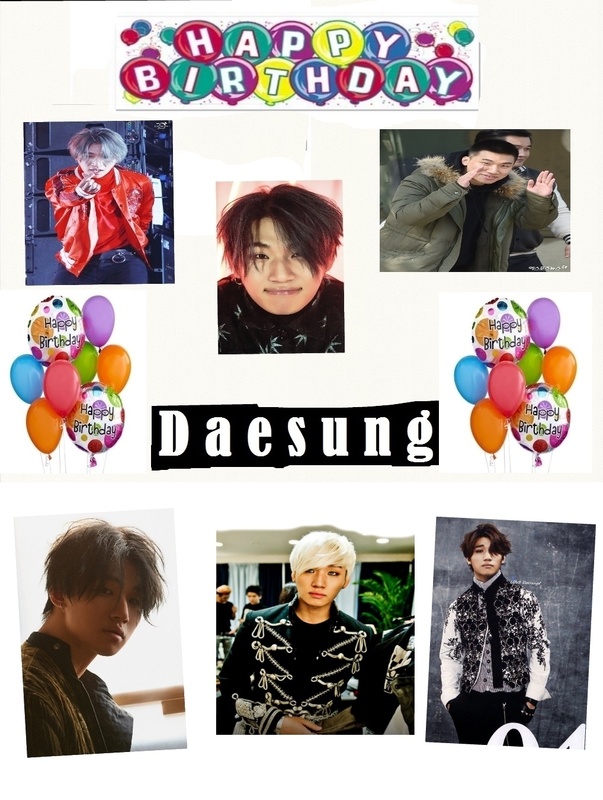 They have been used by us simply to celebrate Daesung’s birthday and share about him. We claim no ownership or rights to them and the rights belong to the uploaders and owners of each piece. Thank you! Happy Daesung Day! I wish you all the happiness in the world. 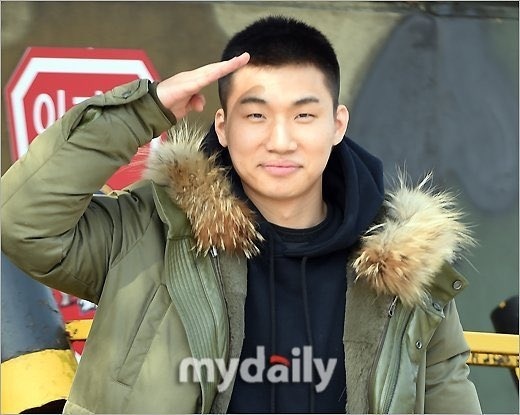 May God always bless you in every step of your way, Daesungie ❤️ We will wait for you and your boys. Serve well and take care of your health. Technically it is not his birthday yet where I live though. Happy birthday daesungie! If theres any way that u might read this page. I just want u to know that we love u! And always care about you! he the first person who introduced me to kpop and the first kpop idol that i really love and will always love above everything. HAPPY BIRTHDAY TO OUR WARM VOICED, VERY TALENTED, AMAZINGLY HAPPY, SMILING ANGEL BOY! <3 <3 <3 May the world only bring you sunshine and rainbows from here on out! I remember he once said that if only he didn’t have bow legs, he would’ve been a few centimeters taller haha! Happy Birthday Deasung! You are awesome!. Ps. Anyone knows how birthdays go in the army? Do they go by month? Happy Birthday Dae!!! Our smiling angel, the smile that lights up any room, our Daegelina, we love you and miss you sooo much! Take care of yourself as you always have, and come back to us healthy and happy, you are an inspiration to all of us VIP. Our Yabai Kang is already 29!!! Last year in his 20s!!!! P.S. I’ve been crazy busy to even comment and fangirl on updates from SR or YB or Jiyong, but definitely needed to make some time to congratulate the man that makes me smile with his smile. Happy Birthday to our smiling angel, Dae! I knew everything except for the bow legs. I didn’t really notice.. Wow. Happy Birthday Daesungggieee!!! Hope you are doing good in the military and have some time to enjoy your special day! Missing you and your angelic smile twice as much today<3 I will pray for your health and happiness and can't wait to see u again in 2 years<3<3<3<3 Thank you for being such a light in my life and may god continue to bless you eternally. I’d like to say that I learned something from this today but I already knew everything. Happy Birthday to my ultimate bias, our Smiling Angel, Yabai Kang, Kang Dae Sung. We love you. Stay healthy and happy. Yeah….was hard to come up with unknown things since it’s been over 10 years and Deasung is very private…HAHAHAHA! Wanted to also keep it light and fun. Will try to think of other ones as we go! I love this. Thanks for taking your time to put these together. Some of these I didn’t even know. I wish though that Daesung changed how he approaches his throat condition. Don’t get me wrong, it’s great that he stayed motivated to pursue his dreams, even though he was at a disadvantage. But the thing is, if a vocalist needs to be precautious with straining and not overworking their instrument, then a vocalist with nodules/damaged folds needs to be 10x more careful. Surgeries are simply quick fixes that do not work in the long term. Continuing singing non-stop only worsens it, too. So what is better for Daesung (or any vocalist really) is to get vocal training and let the voice rest the minute you physically feel fatigue. The aim of vocal training is to simply let the vocalist sing without causing any damage to their vocal folds and to optimize their sound. Excellent singers like Kim Sohyang have no trouble with damage because they trained their voices extensively, and on top of that are able to belt very extremely high extremely well, because that’s what optimal vocal training allows you to do. Still, it is very, very important to let the voice rest. That is why even trained singers with great technique are in risk of damaging their voice. That was the case with Mariah Carey, and it was even worse in her case because she also had nodules. I know that this type of thing is not something you want to hear in your birthday, but as a long time fan and simply as a human being, who cares for another’s well-being, I felt compelled to share this. I just want to Daesung to be able to show us his beautiful voice and music like he wishes to for many more years to come. Also I want him to become an even better vocalist who can show us a big range of musicality. Really? I don’t keep up with Daesung’s solo activities, so it makes me very happy to hear that. He did the exactly right thing to do in a situation like his, which is going back to the basics. Good breath support is extremely important and it’s the first thing that a vocalist should learn to develop and value. Thanks for your response. I wish you all the blessings; you deserve all the happiness in the world. Our golden heart boy, the finest gentleman, the most amazing singer, the smile that brings joy even from miles away. Keep shining and blessing our lives, Kang Daesung. Thank you so much for everything!! Happy Birthday To Daesung!!!! My dearest one you are an angel who’s smile lights up our world. I look at your smiling face and can’t help but smile in return. You are one of those precious souls who touch people just by being yourself. When things are touch or and we are down you are like that warm and fuzzy feeling that makes everything okay again. To you I wish you many many years of health and happiness. I wish continued success in everything you do. I wish you find love that is true, and enduring. I wish you have all your dreams fulfilled. Happy Birthday our Daring Dae! PS. another fan fact: Dae is lil Haru’s “Uncle Fish”. He is just too cute with Haru. Happy Birthday Daesung!! Have much happiness in life! Happy Birthday to BigBang’s one and only smiling Angel!! 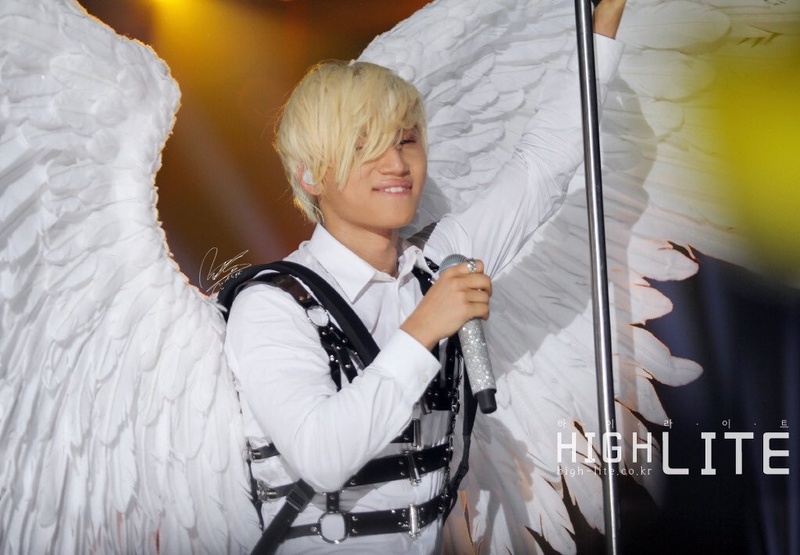 So many wonderful facets of our Angel Daesung. And the cherry on top is the pic of Dae with his 2 young nephews…just cuteness overload. HAPPY BIRTHDAY, dear sweet Angel Deasung! I am grateful to your parents for bringing you into this world and and to rais you so well, for being this wonderful, kind, generous, warm human being you are. Dear Admins, thanks for the fun facts above. Nr. 6 and 7 were not known to me. I have never seen his family apart from his mother. His sister is really beautiful! And I am happy that his parents accepted his decision of being a singer. Imagine a world without our Daesung as an artist. It was a hard time with his father but he shows his talent 10 years ago and he is still perfect. With Dae’s Voice I became a new life 2008.And it’s still the same. Just love it!